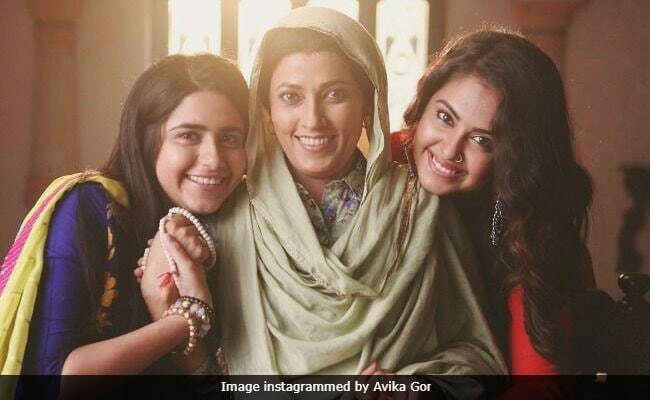 Actress Avika Gor, best known for playing a child bride in Balika Vadhu, says she will fight social evils in the upcoming show Laado - Veerpur Ki Mardaani instead of being their victim. Laado, the season two of the popular show Na Ana Iss Des Laado - which dealt with female infanticide - will premiere on Colors on November 6. When asked if Avika's character will be seen as a victim of a social evil, the actress told IANS over phone from Mumbai: "Not really. She will be the one standing up against the evils." She will play Ammaji's granddaughter Anushka - a law student. "She is inspiring and strong. She knows what is right and wrong, and wants others to follow that. If anyone goes on a wrong track, she knows how to give them back even if it's Ammaji," she said. Actress Meghna Malik will return as Ammaji in the show. Of her equation with Meghna, Avika said: "I have a very cute scene with her. I am scolding her for doing something. And then when my character gets to know about what Ammaji did in the past...how my character would react, is what people will be looking forward to." She is certain that the audience will have a lot of expectations from the second season of the show. "People relate to the characters. They are curious about what's going to happen next. So we need to make sure that we don't give just 100 but 1000 per cent to the show," she said. "It's a challenge. There will be people who will say that the first one is better, but I just hope all of this works out and people fall in love with all the characters of the show," she added. This isn't her first project with Colors channel. After Balika Vadhu, she did Sasural Simar Ka. "Colors has adopted me. I am approached for every show. Whichever I like, they say 'Okay, fine do it. But yeah, my first show was not with Colors. I had done a lot of shows. Balika Vadhu is the show that gave me fame. It was of Colors. Since then, the channel has treated me as their own. It means a lot for me... you know that a channel is supporting you. It's a huge thing," she said.